We are pleased to Thank and Congratulate Roy Harden as the March Driver of the Month. 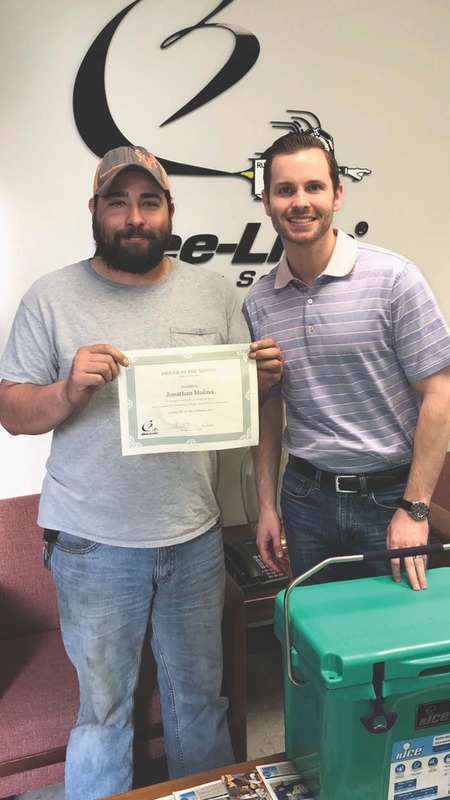 Roy started with Bee-Line as a Lease Purchase driver in March of 2014 and purchased the truck at the end of 2018. Roy has always been a safe team player. We’ve enjoyed the past two years with Roy on the team, and look forward to the next two years. Thank you for all that you do, Roy! Good morning, fellow ELD users! we do (or do not) make on our log application. shorter time, but we all have the same goal: to run and make money. for that motion is and if that motion is for a purpose other than standard driving. minute and make sure the log is set for your next new duty status (draw your electronic line). and 70-hour cycle so you can plan better for the next move. And requires no math in order to see it!! You always know if you can run another trip before you need a 34-hour restart! knowledge into gaps in your work week that need improvement to improve cash flow. “I run more miles now because I can tell them (Dispatch) that I have time." the machine is just a very useful tool for us. We are pleased to Thank and Congratulate Jonathan Molina as the February Driver of the Month. 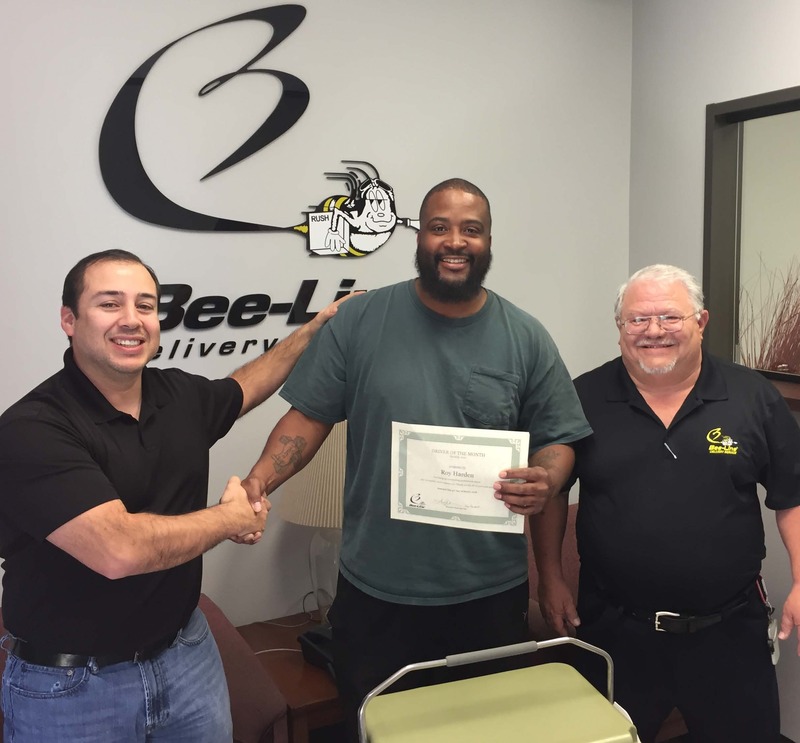 Jonathan has been an Owner-Operator at Bee-Line for the last seven months, and has done an amazing job being a safe and reliable driver. Jonathan has been a huge part of the continued growth and success Bee-Line has seen over the last year. Thank you for all that you do, Jonathan! Bee-Line Delivery Service successfully completes its 2017 emissions reporting with SmartWay Transport Partnership. SmartWay’s Partner tools are used to measure progress toward cleaner air and more sustainable business practices. Bee-Line, a leading Texas Regional provider of transportation and logistics solutions, continues its commitment to track and report its carbon accounting practices for a 7th consecutive year. Freight transportation is one of the fastest growing impacts on the environment and as consumer demand increases, we are committed to respond with the most efficient and cleaner transportation practices. Everyone welcome the newest member of the Bee-Line Family. William Lyons McMillan was born on February 21, 2018 at 11:30 pm. He weighed in at 8.0 pounds and 21.5 inches. His first time parents, Matthew and Taylor McMillan are doing well. We expect for William to go through orientation and begin his career soon. Congratulation to William and his proud parents.